‘Work-Life Balance’: Myth or Reality for Women? WWN Reflection 01.07.2014: In the course of my coaching and training career, I often come across women, like myself, who share their challenges about their work-life options/choices. There are no perfect solutions, no one size that fits all. However, on a personal note, based on my experience with juggling a family (husband and five kids, which sometimes feels sort of like having six kids) :-)! Ladies, I’m sure you can all relate with my sentiment..lol). Well, this is what I do believe: It is a personal journey and each person must find their own path and what works best for them. There seems to be different phases in a woman’s personal and professional life: Pre-briefcase and diaper bag; Trades briefcase for diaper bag; Trades diaper bag for briefcase; Trades in both diaper bag and briefcase and chooses a career path/business/cause she’s passionate about (it may actually be to choose both the briefcase and the diaper bag..)! ‘Diaper bag’, in this instance is of course euphemism for family and raising kids while ‘Briefcase’ refers to pursuing an education and career/business. The phases are not sequential. You have to have clarity and know the phase you’re in and embrace it. Don’t copy anyone else, simply learn from them because what works great for A may be a disaster for the next person. Besides, the compare and contrast game only breeds dissatisfaction and/or deep unhappiness. Your name is not ‘Everybody’, or ‘Jones’, you are an original, magnificent, creature. 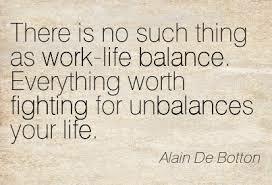 In my opinion (and this is just an opinion), there’s really no such thing as ‘work-life’ balance, what you get in reality are ‘work-life’ choices. I like the idea of work-life integration. What we often refer to as Work-Life balance is not about perfection or having everything in the right order, I think it is actually more about being real and authentic and making choices that reflect what’s important to YOU at different stages of your evolving life cycles! Therefore, it is important to be aware that at different stages in your life, something is always at the top of your priority list. Life is not static or flat, priorities in life keep changing, life is DYNAMIC WITH DIFFERENT OSCILLATING PATTERNS. The universe is always in motion, so we either move with it (in the direction of our dreams, goals and purpose) or we may get crushed! You are a human BEING, not a human BE! BEING connotes that we are continually doing, learning, growing, evolving and transforming. Stop judging and second-guessing your choices. 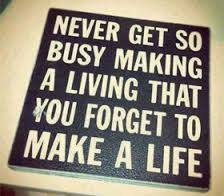 Live life fully. Be present wherever you are in your life phase. You can only do you, the best way you know how. Be gentle, forgiving, accepting and kind with yourself and others. Pray for wisdom, spirit of discernment, boldness and courage to make informed and empowered choices that are always aligned with who you are and what you truly value at your core. Our disconnect from who we are is often what creates stress and tension in our quest for ‘balance’ in our lives. It is also necessary to point out that our perception of ‘work’ also contributes to the imbalance it may or may not create in our lives. In the words of Brian Tracy,’One of the keys to a successful, fulfilling and balanced life is to find something you love to do and find a way to make a living doing it’. Also, the ability to handle every position in your career as if you were working for yourself and thus to see every job you’ve ever held in the past or will hold in future as part of a much bigger picture, as fulfilling a piece of your divine purpose. Remember you are not ordinary, you are uniquely extra-ordinary. You are W.O.W: Wonderful, One-of-a-kind Woman! Live purposefully, passionately and powerfully. Note: For Strategy Sessions, we’re now fully booked for the Months of January and February, the next available date for appointments is from March 10th, 2014. ← Embracing the gift of AUTHENTICITY!